On my way to the Beccles exhibition I stopped in Ipswich to visit Coastal DCC. I’ve brought from Coastal DCC online but this was the first time I’d visited them. They are co-located with Orwell Model Railways who specialise in models of British railways and Scograil who are European outline model specialists. I was impressed with the well stocked shops and I had a good time browsing the displays. However, I wasn’t window shopping. 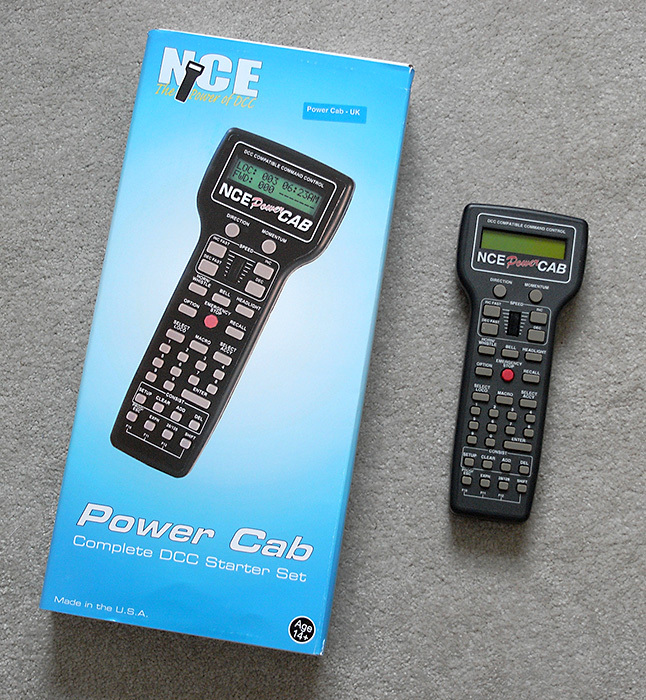 I wanted to investigate the NCE PowerCab. 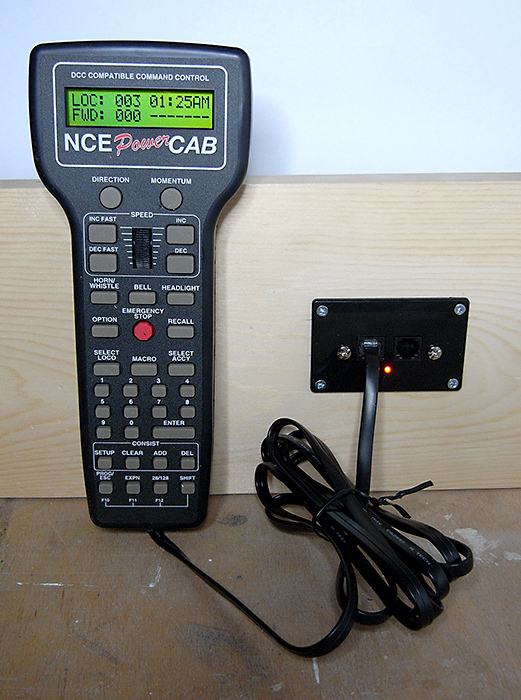 This is a complete DCC system cleverly built into a hand held controller. It seemed like an ideal starter system. As everything is built into the controller I was concerned that it would be big and heavy. The guys at Coastal DCC were very helpful. They explained the system to me, compared it to the alternatives and let me try it. I was surprised. The controller isn’t small but it isn’t overly big either (it’s just over 22cm [about 8.5 inches] long), it fits comfortably in my hand and it is incredibly light. As you can see I left the shop with one! NCE say that it’s easy to set up. You mount the fascia panel on your layout, connect two wires to the track, plug in the power and plug in the controller. I was slightly sceptical, but it really was that simple. It worked first time and I was soon using it to run locos on my layout. Sounds and looks interesting. You’ll have to do a YouTube movie showing the out the box, connection and running locos. Does it run sounds too? Yes, it runs sounds (via the loco decoders I think). Hi Stephanie, Yes I’m impressed with Coastal, we could do with more model railway vendors like them! Thanks for the reblog. I think I will enjoy mine too! I’ll stick with DC (one cab—one block with several isolatable spurs—for now. But thanks for this practical review! I do agree—-and there’s hope! A couple of recent layouts featured in recent MR or RMC were indeed run by DC.